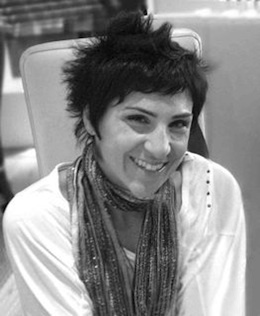 Kathy Shalhoub is a Lebanese writer whose recent book deals with topics like life abroad, identity and passion. The idea of an interview came to me when I went to a talk by Kathy Shalhoub, the author of Life as a Leb-neh Lover: The identity crisis of a Maybe Lebanese, at a Coffee Morning organized by Women in Abu Dhabi . The title was “So You Want To Get Published?”. 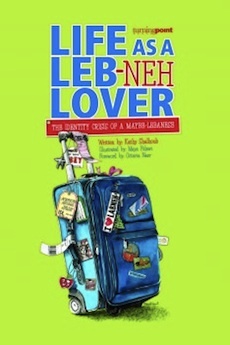 This book is Finalist at the International Book Awards 2011 and it is published by a small publisher in Beirut (Turning Point) managed by a woman present at the talk. I was interested in this event because the author’s talk was about how to publish a book (I like writing though it is not my first ambition). Later, after the questions, I found it most interesting to learn of Kathy’s story and her feeling of identity, cultural belonging and the need to share and communicate with other people. These are the same feelings that I have every time I look at Expatclic. But this is not all. In sharing with Kathy the same desire to live abroad and to learn about different countries and cultures, I realized that we had many points in common, such as for example the same way of looking at other people. I feel that Lebanese are in some ways similar to Italians, both belong to the unique Mediterranean culture, a mix between chaos and creativity. For all these reasons I wish to share this encounter with you. A blog is a stream of consciousness. A book is a story with a beginning, a middle and an end. I started out with a blog because I wasn’t sure I had anything more to say. But when a friend encouraged me to turn my blog into a book, I realized that I was interested in telling a story after all. Plus a book takes more time to read, it is something material that you can keep on hand and take with you everywhere. When did your desire to write a book start and how long did it take to write it? I’ve always wanted to write a book but I’ve been writing a journal since I was sixteen. Now I’m thirty-three, so that’s a long time. For my book, I would say 70% was already written in my journal and blog. I wrote the remaining 30% from memory afterwards when I was putting the book manuscript together. How did your life abroad influence the ideas in the book? Or in what way did your time spent abroad change your awareness and feelings? Living abroad made me more educated and open minded. The contact with other cultures changed me completely. I started to understand the differences and the different ways of living. It really widened my point of view and helped me to appreciate differences in people. Now I realize that integrating into a new culture is hard. In the book I wanted to let people passing through the same experiences of living abroad and dealing with culture shock, identity crisis and questions like ‘who am I?’ and ‘where do I belong?’ and know that they are not alone. I wanted them to know that everyone goes through the same thing one way or another. In your book you start by describing your life as a teenager. You were bad at school and you had no goals or motivation. What changed in you? Did you have a specific goal like becoming a doctor or continuing your education or was it just the desire to go abroad? At first it was simply the desire for a change, the need for adventure. The possibility of going abroad and getting away from the war is what gave me the motivation to study and get grades that would get me accepted into a good university. Lebanon is a small country and the US is the dream of most Lebanese. I had the same dream. I wanted to get out and see the world. So you chose your career once you were in US, during your study an education? Once I was there my sense of responsibility increased. My mother worked hard to send me to university and I didn’t want to disappoint her or my family, I couldn’t give up and I chose a field that would hopefully make me gain money one day. And then you met your husband in Lebanon? Yes I met him in Lebanon but we got married in a small civil service in Boston to avoid the trouble of inviting hundreds of people and going crazy with the organization of a huge traditional Lebanese wedding. You said that people in Lebanon always ask when will you get married. To them it does not really matter what you are studying or what else you have accomplished. How has your life changed after marriage? Yes, and after you get married they want to know when you will have children!!! My life changed a lot after marriage, actually. My husband was very supportive towards my desire to be a writer. Actually he encouraged me to become a writer and took away the pressure of needing to support myself. So when I was pregnant with my daughter I finally had the time to write and to think more about my passion and myself. As a Lebanese who dreams to live abroad, did you have a favourite country in your mind? No. No favorites. I think every place has unique things about it. I now live in Dubai with my husband and my family but I still have a great desire to discover the world. Only now I want to do it with my family, too, not alone. And how do you find Dubai? Dubai is a very good compromise between East and West, I feel that it has just enough of the Arab world and just enough of the West. Are you still working as an engineer or a scientist? No, I am not. I recently had an offer to work in scientific research at a great university in Abu Dhabi, and I was preparing to move there. But in the end I realized that I really love writing more than anything else and so I decided to focus solely on that. So you decided to dedicate your life to writing even though at the moment you don’t make much money from it? Yes, exactly. I am fortunate to have the unconditional support of my husband who believes in my talent and encourages me to do what I love.